Although our ambit is the Balearic islands, we should not forget that we form part of the World, in which everything is related, which we navigate together. More than ever, the maxim, “think globally, act locally” has the meaning of a globalized world in which the flow of information is like a tidal wave connecting all the parts. In very distant places with different realities from our own there are, however, people working in the same direction as us: it is possible to have another form of relationship with the environment, it is possible to manage resources more fairly so as to avoid exhausting its reserves. It is possible to avoid the injustice of resources being put into the hands of the few who are motivated only by the ambition of self-enrichment. To learn other initiatives and also to explain our own, we are active members of different forums. There ideas are exchanged and global strategies created so that each of us can adapt and apply them to our own areas of activity. 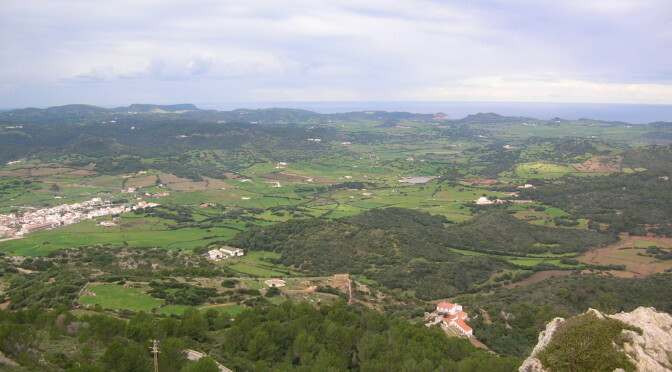 In the sphere of land stewardship, for example, we are active members of the Xarxa de Custodia del Territori and from Impulsors de la Custòdia del Territori a les Illes Balears. We take part in the National Forum of Land Stewardship which joins together associations of Spain and acts as a social mouthpiece to lobby the government. We take part in special training days and pass on what we have learnt to Menorcan farmers at our numerous meetings. With regard to maritime subjects, we co-ordinate with Oceana and Greenpeace on conservation activities along the coast and on energy matters. Recently, we established a united front to work on the very worrying subject of prospecting for future petrol extraction in the Mediterranean. In addition, we share many of the European initiatives arising from environmental forums for analyzing the huge global problems which affect us: drinking water, the future of agriculture, climate change, overfishing, renewable energy supplies, etc. with the one objective of finding sustainability for the future. GOB is also member of IUCN. With the associations of the other Balearic Islands, we are members of the same family of GOB, but like in all families, each one of us focuses on our own most effective tactics. There is an annual meeting of the Inter-Island Board made up of the Presidents from Formentera, Eivissa, Menorca and Mallorca, with the coordinators and members of the inter-Island board to agree, approve and decide on all matters related to conservation and the environment.